Local Gluten-Free Spotlight! Union Street Grill & Grotto + Abuelo’s Corn Tortillas! Union Street Grill & Grotto creates fabulous gluten-free meals from locally produced, authentically Mexican Abuelo’s Corn Tortillas! Since August 2009, Abuelo’s Corn Tortillas has been producing scrumptious handmade, 100% organic and gluten-free corn tortillas from their family-run tortilla factory in Courtenay. Read the reviews here! Upon moving to the Comox Valley, the Miller Family took their love for carefully prepared food and purchased The Road Runner Café—serving authentic Mexican food alongside Canadian breakfast fare. While developing their menu, they quickly became dissatisfied with the quality of tortillas available to them. The corn tortillas available locally were simply not of the same quality their family ate in Mexico. The problem was solved when Alondra Miller developed a recipe in her own kitchen and the Millers started producing tortillas themselves. The restaurant response was overwhelming, and they began selling pre-packaged tortillas to meet customer demand. Sales skyrocketed and soon local whole food grocer Edible Island began carrying the product. Two years later, the opportunity arose to focus on making tortillas at a rate that could meet market demand, and so the Miller’s chose tortillas over the restaurant. They now satisfy the bellies of happy customers across Vancouver Island and Vancouver with their product. Learn more about their Tortilla Factory outlet in Courtenay. Why does Union Street Grill choose Abuelo’s Corn Tortillas? With family honour and pride, Abuelo’s lovingly makes traditional tortillas by hand with select organic ingredients and non-GMO corn masa flour. These preservative- and additive-free tortillas are also 100% gluten-free and endorsed by The Celiac Scene. Samples of their products are provided to attendees of the Canadian Celiac Association’s Gluten-Free Living classes. Believing that if they won’t eat it themselves, they won’t sell it, Abuelo’s doesn’t have a fully automated tortilla making process. Instead, they continue to hand-press dough in their traditional wooden tortilla press. Where else can you find Abuelo’s Corn Tortillas? Loved throughout the Comox Valley, Abuelo’s Corn Tortillas can be found at the Comox Valley Farmer’s Market, as well as a variety of grocers and retailers in the area. And don’t forget they can be found on the menu of fabulous fine restaurants—like us! We use Abuelo’s corn tortillas and tortilla chips in a variety of our dishes. You can find our lunch menu and dinner menu online alongside our gluten-free menu. Call us today at 250-897-0081 to make a reservation or order take-out! 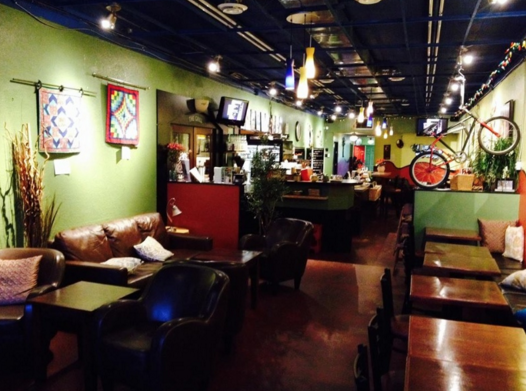 Read the Celiac Scene’s review of Union Street Grill & Grotto! 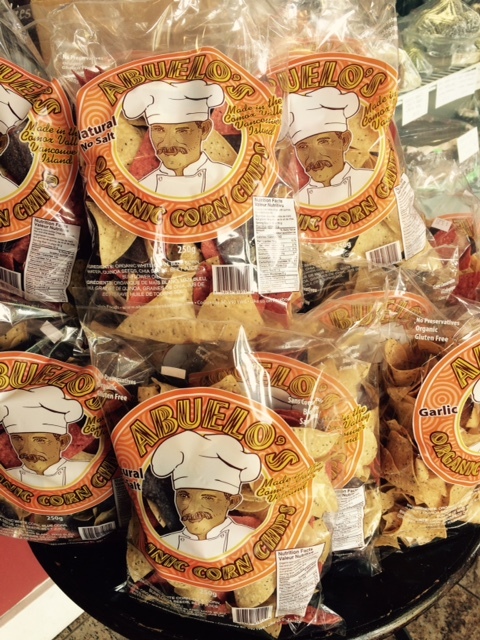 Learn more about Abuelo’s Corn Tortillas – and Tortilla Chips! https://theceliacscene.com/wp-content/uploads/2015/12/abuelos-corn-tortillas-union-street-1.jpg 461 528 Ellen Bayens /wp-content/uploads/2014/12/TheCeliacSceneLogo-575X156.jpg Ellen Bayens2015-12-14 11:17:582018-09-21 13:31:22Local Gluten-Free Spotlight! Union Street Grill & Grotto + Abuelo's Corn Tortillas!